Seriously, people!! What an amazing selection of Avery Elle deliciousness!! Thank you so much for playing with us! 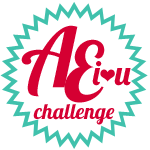 Please join us again TOMORROW for the next Avery Elle Challenge – you’re going to LOVE it, I promise!! Congrats Elena, May and Lori! Beautiful work! :) This certainly makes my day happy!!! I look forward to playing many many more challenges! Congrats to Elena and May! i'm thrilled you picked my card, thank you! There were so many beautiful entries! FABULOUS cards ladies - CONGRATS!! !